I’m a begrudging social meditator. But you’d never know it by how many Twitter handles I’ve registered and tweet at ever-so-infrequently. Plus now with the Instagram. Here, in order of utility, are where you’ll find me hyping something or other. @Yaeger: This is my everyday Twitter handle. But I don’t tweet every day. @BrianYaeger: This is my everyday IG handle. But I don’t insta every day. @AmericanDoughnut: This is for pics of #doughnuts as I work on a book about immigrants (but saying it’s about doughnuts makes it more palatable). @BakersDozenPDX: I really dig creating beer events. This one has its own account because it goes down every year–13 different coffee beers & local doughnut makers. @WeLoveNips: Because we all love mini stuff, especially 1/3 pint (6-8 oz.) #Nip bottles. 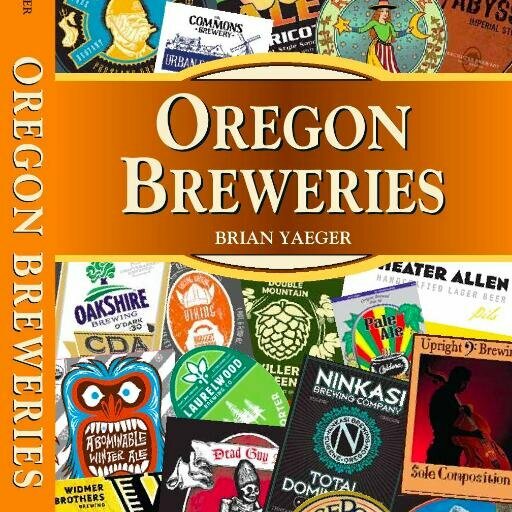 @OregonBreweries: This is solely for stuff pertaining to beer & breweries in the Beaver State.